Philippines - Some of us cannot afford to buy a brand new motorcycle and because of that we rather choose to buy a second hand motorcycle. 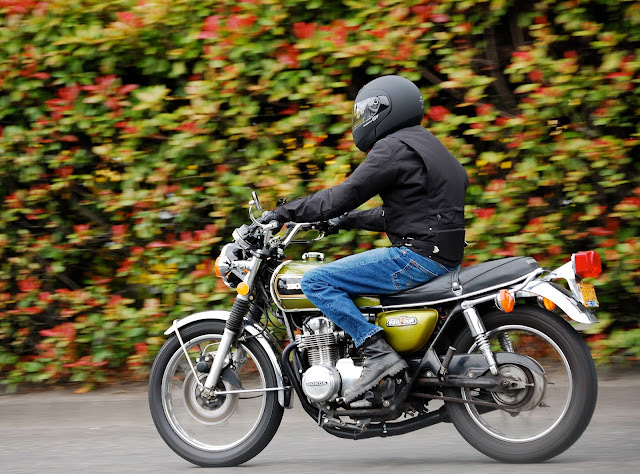 But before buying a second hand motorcycle the buyer or vendee must see to it that that motorcycle that he or she is buying for are have all legal documents, while the seller or vendor must provide and present all the legal documents to the buyer or vendee. If the sales took place and the buyer has no knowledge of what legal documents he or she must have then future issue or problem may encounter if the motorcycle involved in any proper verification. In a situation like an involvement in an accident or PNP/LTO checkpoint, the driver of the motorcycle must see to it that he or she has all the legal documents to present? Failure to do so may lead to penalties or worst the motorcycle might be impounded? 4. Original copy of “Deed of Sale” – Here the seller and the buyer must go to the nearest Notary Public in their area to notarize the “Deed of Sale”. The public attorney will check all the information on the motorcycle indicated as well as the information about the seller and the buyer and the amount how much the motorcycle was sold? Upon checking and approval the buyer will be given 2 copies of the Deed of Sale, the seller has 1 copy and the public attorney has 2 copies. These 4 documents must always carried by the new owner of the motorcycle whenever he or she drive the vehicle. In case that there is a check point, all legal documents can be presented. Always bring a Xerox copy of all 4 documents mentions, never bring the original copy especially the O.R and C.R of the motorcycle and if there is any legal documents that is not mention above the list kindly inform us to edit this article. No Comment to " How to Buy a Second Hand Motorcycle and Its Legal Documents "